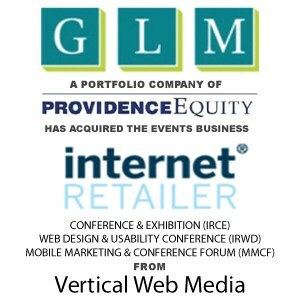 GLM Acquires E-Commerce Events Group From Vertical Web Media, Publisher Of Internet Retailer Media - Berkery, Noyes & Co., LLC. WHITE PLAINS, NY, November 9, 2012 – GLM today announced its acquisition of the events group of Vertical Web Media (VWM), including Internet Retailer Conference & Exhibition (IRCE), the leading e-commerce event in the United States, and two allied events – Internet Retailer Mobile Marketing & Commerce Forum (MMCF) and Internet Retailer Web Design and Usability Conference (IRWD). Terms of the transaction were not disclosed. The acquisition creates a strategic partnership between the two companies whereby the existing IRCE sales, marketing and operations team will remain with the events group and operate as an independent division of GLM, one of the country’s largest operators of trade shows for the retailing market. VWM will continue to provide conference agenda development, speaker recruitment services and marketing support. VWM will retain all of its media properties, including its Internet Retailer Magazine, news and informational web sites, e-mail newsletters and research databases and directories. IRCE, the nation’s largest conference and exhibition devoted to e-commerce developments and technologies, was launched in 2005. The annual event features approximately 600 e-commerce vendors and 100 conference sessions over a four-day period, and attracts nearly 9,000 e-retailing and e-commerce executives. Its speakers and attendees comprise the broadest collection of e-commerce competitors around the world, including retail chains, web-only merchants, retail goods manufacturers and wholesalers and consumer services companies. The 2013 edition of IRCE is scheduled to run June 4-7, at McCormick Place West, in Chicago. IRWD, the leading web design and usability conference, was launched in 2008. The annual event features 60 exhibits and more than 30 conference sessions, including an SEO Day and Design Workshop. IRWD attracts a diverse crowd of top e-commerce executives, web designers and developers, and marketers from web-only merchants to e-commerce operations of the top chains. IRWD 2013 is scheduled to run February 11-13, at the Omni Orlando Resort, in Orlando. MMCF, presenting cutting-edge marketing and e-commerce information for competitors in the mobile commerce space, was launched in 2010. The annual event features 40 exhibits and more than 25 conference sessions, attracting representatives from retail chains, web-only merchants, catalogers, branded manufacturers and e-commerce vendors. The most recent MMCF was held last month in San Diego. 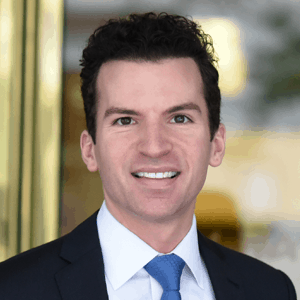 GLM anticipates co-locating e-commerce content and resources drawn from IRCE’s network with many of its existing shows, starting in 2013, and sees potential for expansion of IRCE-related events in the U.S., Europe and Asia. Vertical Web Media (VWM) is a privately held company based in Chicago that focuses on providing business intelligence for the e-commerce market, serving more than 75,000 publication subscribers and more than 280,000 unique monthly web visitors. VWM launched its monthly Internet Retailer Magazine in 1999, and today is the largest media group exclusively covering the e-commerce field. It operates a monthly magazine, two information and research web sites, two e-mail newsletters and seven annual research publications and databases, all directed to various aspects of the e-commerce business. Additional information is available online at www.internetretailer.com. GLM creates face-to-face and online buying, selling and networking platforms for designers, product developers, manufacturers, reps, retailers and operators through tradeshow and event production, online community development and association management. GLM’s shows include the New York International Gift Fair®, the International Contemporary Furniture Fair®, the National Stationery Show, Surf Expo and SURTEX®. 2013 launches include SPACE (Strategy, Product and Architecture for Consumer Environments) New York, SourcesNY and Creative & Lifestyle Arts. Additional information is available online at www.glmshows.com. Buyer Parent: Providence Equity Partners Inc.